Nowadays almost everybody is on a social platform like Facebook, Twitter, etc. With the number of sites requiring registrations increasing day by day, customers now hate creating accounts and remember passwords. This is one of the main reasons why a potential customer does not sign up for an account.This is even more impactful with the exponential growth of mobile phone usage, where due to small keyboard size, filling out the form or email/password is a pain. 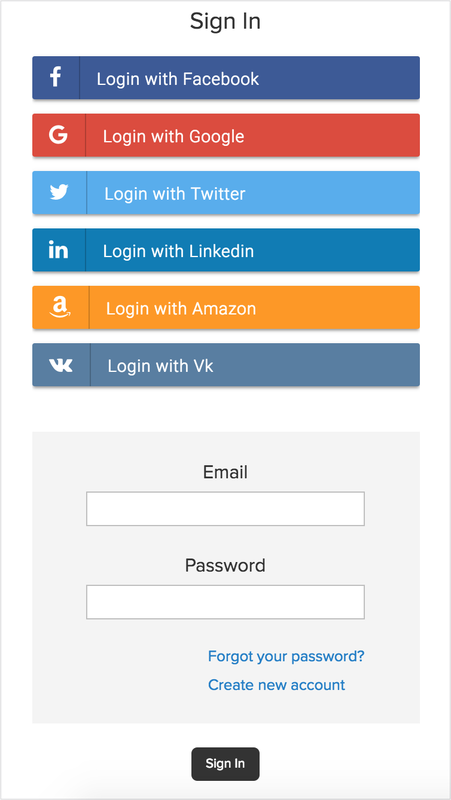 Customers would prefer to simply tap once to login. 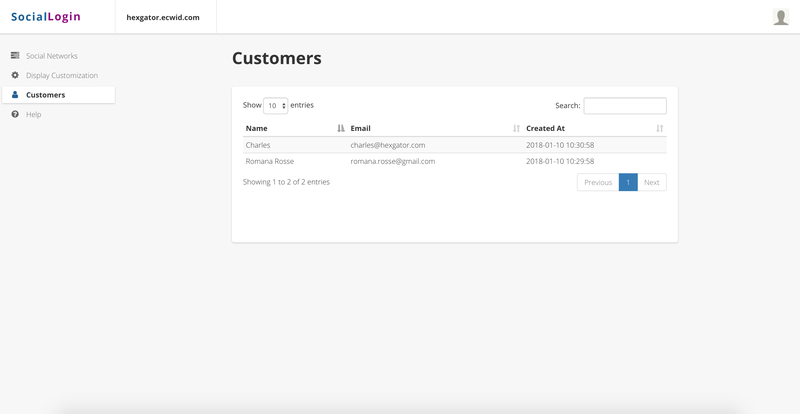 If a customer leaves your store without leaving their email, they are lost forever and there’s no way to contact them again. 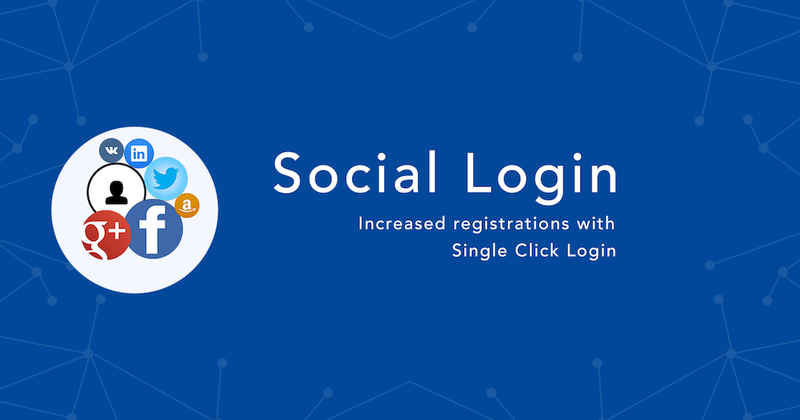 Social Login helps you get your customer information quickly by providing your customers with a single click login option. Just install and it’s ready to use. Absolutely no need for any configuration. 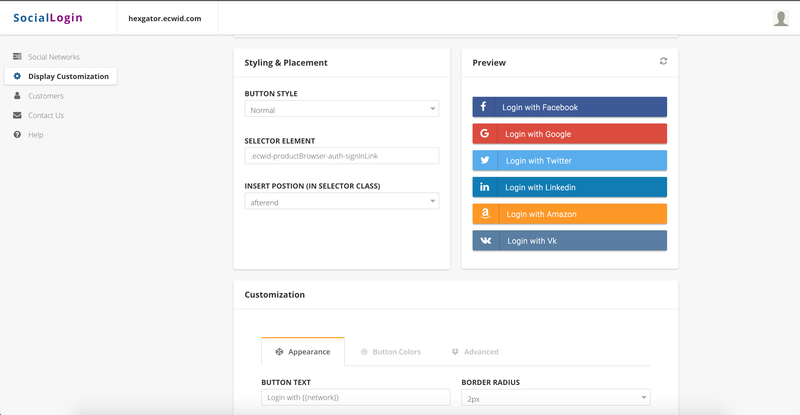 We understand that every store has a unique design, thus we provided you with the ability to customize the social button so that it matches your store perfectly. You can change the button design, convert them to icons, change or translate the text etc. For advanced design, you can use custom CSS as well. 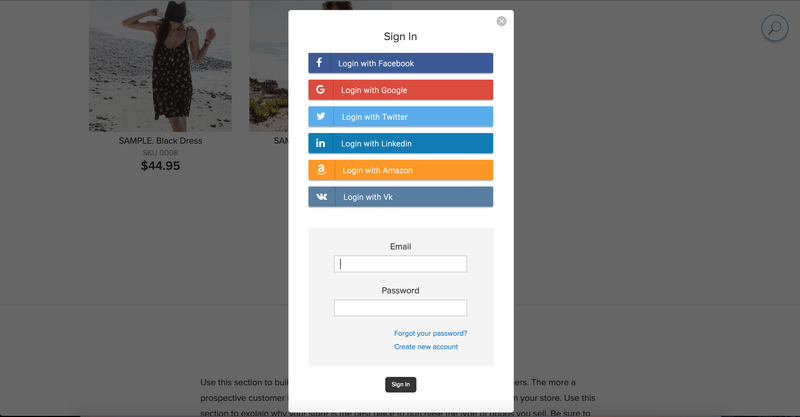 Customers can login with any of their preferred social platforms and access their account. 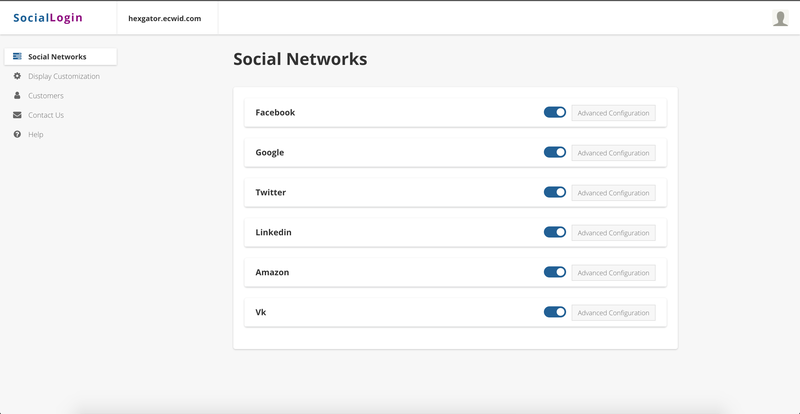 Collect user data from anyone who uses Social Login and know more about them.